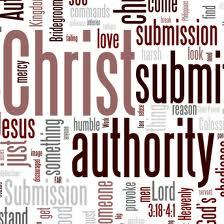 Jesus is God, He has all authority over, well, everything (Matt. 28:18) and yet in this passage He uses Himself as an example of one who has authority and instead of giving orders, He leads by example. Here is the principle that I believe Jesus would teach us and it applies to anyone who finds themselves in any kind of leadership role. Influence is better than authority. What I mean by that is that I think I would rather be the kind of parent/pastor/leader that is respected than feared. I want those I’m responsible for leading to want to follow me. I want to be respected and trusted. I want to influence people (my children and my church) to be and do everything that God has called them to be and do. Authority comes with certain positions and there are times that authority must be exercised with firmness and confidence. Let’s face it, sometimes as leaders we don’t want to (and shouldn’t have to) always explain ourselves. It’s not that we’re above explaining ourselves, it’s just that if we have to take the time to explain everything to everyone then we’re wasting their time and ours. There has to be a degree of trust between a leader and those whom he or she is responsible for leading. If I want people to respond properly during those times then I have to be very careful not to abuse that authority. I have to be very careful to show them that I’m someone they can trust and respect and follow. I have to do like Jesus and lead by example, not by right. That’s certainly easier said than done but it’s a worthwhile goal for everyone who finds themselves in a position of authority, whether it be a parent, pastor, boss, teacher, coach, elected official, or whatever. Just something to think about.